In a year where Jeff Gundlach's DoubleLine Unconstrained Bond Fund emerged as the best performer among its peers, further cementing Gundlach's status as the reigning bond king, one of the former title holder's finished off a difficult year with an ignominious milestone: Bill Gross's Janus Henderson Global Unconstrained Bond Fund finished the year with just under $1 billion in assets - less than half of the $2.24 billion from its peak in February. According to Bloomberg, which has been closely monitoring the fund's performance as well as its AUM, the fund suffered some $60 million of redemptions in December, lowering its assets to $950.4 million from February’s all-time high of $2.24 billion. Investors have been pulling money from Gross's fund for 10 straight months as a leveraged bet that Treasury yields and German bund yields would converge went badly awry. Thanks to Gross's misguided assumption that, since the spread between bunds and Treasury yields was near all-time wides, that the spread would almost certainly compress (spoiler: It widened instead), his fund finished down 4% for the year, underperforming more than 80% of its peers, while unconstrained bond funds finished flat. As we explained earlier this week, Gross's assumption likely stemmed from comparing the two yields on an unhedged basis, which would be fine, if foreign asset managers didn't account for trillions of dollars of investment capital which must be hedged. Gross goosed his losses by using interest-rate futures during the first half of the year that blew up in his face, according to BBG. 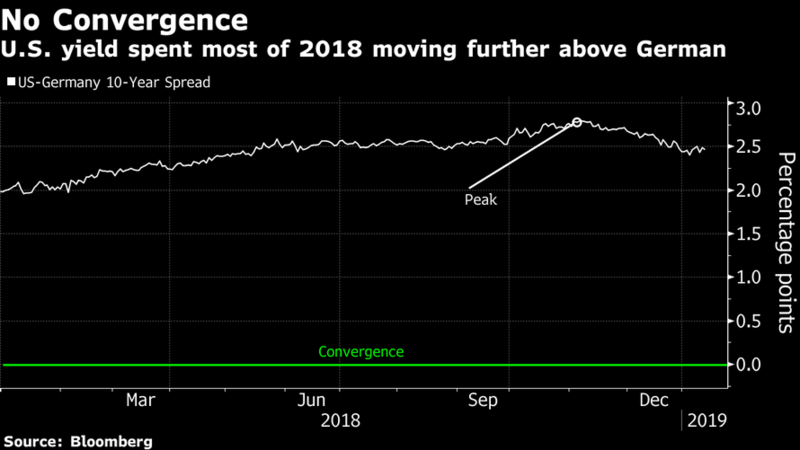 Gross leveraged up his bond fund through the use of futures during the first half of 2018, only to suffer big losses on those tied to interest rates. He had almost $153 million of losses on interest-rate futures in the first half. Unconstrained bond funds, which represent a niche within the fixed-income world, free managers like Gross to hold various types of assets, ranging from cash to banks loans and derivatives. Bets that U.S. 10-year bond yields would narrow their spread over those of similar German debt were mostly losers in 2018. The gap closed at about 2.46 percentage points on Friday. Unconstrained bond funds allow managers to invest in a broader range of assets from cash loans to derivatives. 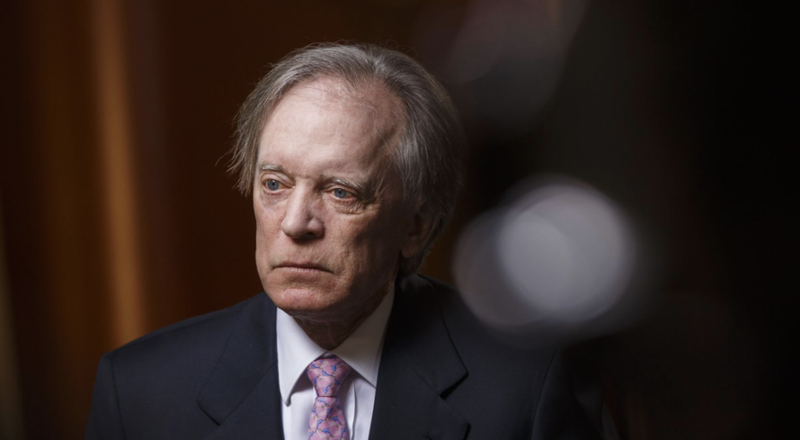 Gross has been managing the Janus Unconstrained Fund since 2014, when he was unceremoniously ousted from PIMCO, the legendary west-coast asset manager that he founded. The US-European spread remained fairly wide as of Friday, at right around 2.5%. With growth in Europe stumbling in the latter half of the year, presumably removing some of the pressure for an ECB rate hike, while the Fed recently signaled it would be 'patient' if the data demanded it, though it is still penciling in at least two hikes next year, the notion that the policy divergence trade might reemerge and push yields further apart - wringing more losses out of Gross's fund - isn't so far-fetched.